THE OCTOBER MEETING is at the The Old Mill. PROGRAM: The talk will explore the ecological history of Martha’s Vineyard as background for understanding the island today and conserving it for the future. ​and director of Harvard Forest, the University's 4,000-acre ecological research institute. David is an ecologist, Harvard faculty member, and director of the Harvard Forest, the University’s 4000-acre ecological research institute. His research investigates landscape history and change as a means of understanding the present in order to make informed decisions for the future. In 2010 David and colleagues developed Wildlands and Woodlands – A Vision for the New England Landscape, which lays out an ambitious conservation future for the region’s forests, farms and communities. His latest book – A Meeting of Land and Sea: Nature and the Future of Martha’s Vineyard (2017) explores the history, ecology, and conservation of the island. David and his family have a house in West Tisbury and he is a board member of the Edey Foundation, Trustees of Reservations, and Martha’s Vineyard Museum and research associate at the Polly Hill Arboretum. 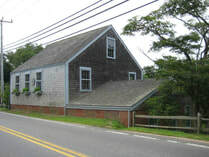 The Old Mill is located on the Edgartown Road directly across from the Mill Pond. Note: The Old Mill is less than 1/10th of a mile from Alley's General Store. Pass Alley's General Store on your left. Drive 200 feet, and turn right onto the Edgartown Road (toward the Airport and Edgartown). The second driveway on your right leads to the Old Mill's parking area.